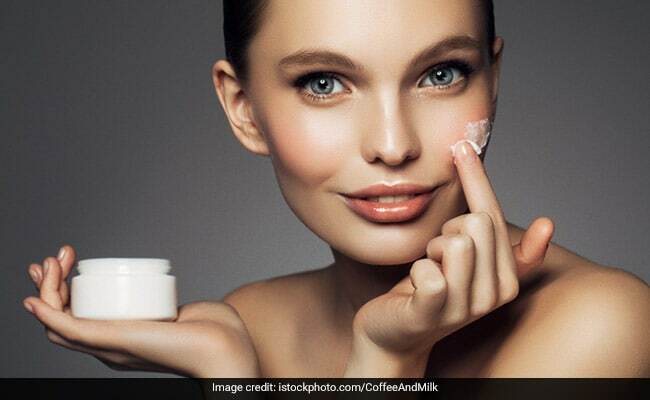 A daily facial moisturiser from Olay that provides seven anti-ageing benefits in one nourishing product. It also contains SPF 15 to help protect against sun exposure. This eyeliner from Maybelline has intense black color with a high-shine finish. It is easy to apply and creates a sleek, bold line. Its smudge-proof formula lasts for 24 hours. 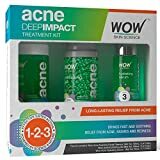 Get cracking on your acne in three steps with the Wow anti acne treatment kit. It includes a facial cleanser, exfoliating gel and hydrating serum that removes toxins, refines the pores and moisturises the skin. Give your hair the nutrients it craves for with this Luxura Sciences onion hair oil. It absorbs quickly, making it a perfect hair moisturiser for dry hair and split ends. You can use it as a scalp treatment, hair mask or deep conditioning oil to show your hair some extra love. LA Girl’s HD Pro Concealer is crease-resistant with opaque coverage in a creamy, yet lightweight texture. The long-wearing formula camouflages darkness under the eyes, redness and skin imperfections. It provides complete, natural-looking coverage. 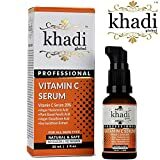 This antioxidant rich serum is perfect and a must-have product in every skin care regime. It contains vitamin C, hyaluronic acids, aloe vera and grapeseed extracts. This advanced formula is designed to target the most common signs of ageing including fine lines, wrinkles, dark spots and sun spots. 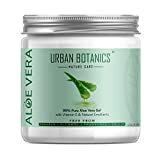 Urban Botanics aloe vera gel is made from organic aloe vera plants and is guaranteed to be authentic, pure and natural. It relieves itchy, dry, irritated skin and scalps. It will keep your face moisturised and reduce blemishes, sunburns, acne, scars and fine lines without leaving your skin dry. 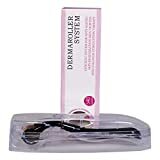 This skin roller from DRS stimulates skin regeneration and reduces stretch marks, cellulite, hyper-pigmentation, wrinkles and acne scars. The lightweight formula from Niks glides on a thin coat of colour that intensifies as it sets to a matte. It provides transfer-less finish with amazing staying power. Stock up your beauty closet with these amazing products.